Situated on the north-western part of the island, at Fanari area, around 6.5 kilometers from Chora (Mykonos town) on the north coast road of the island, the lighthouse overlooks the stretch of sparkling blue water between Mykonos and the neighboring island of Tinos. Its strategic position offers scenic views of the surrounding areas and is well worth visiting to get a sense of the island’s fascinating history and enjoy its spectacular beauty. The decision to build the Armenistis Lighthouse was prompted by the sinking of the British steamship Volta in 1887 off the north coast of the island. Eleven people lost their lives in that unfortunate incident. Steps had to be taken to avoid this type of tragedy from happening again, and by 1891 the 19 meter tall lighthouse was standing as a guiding beacon to incoming ships. The mechanism used to provide the light was designed by French company Sauter Lemonier and received an award at the International Exhibition in Paris at the time. This mechanism remained in use until 1983 when it was replaced by electrical equipment. Visitors can view the original lighting machinery in the courtyard of the Aegean Maritime Museum in the center of Mykonos Town. Nowadays, the region of Armenistis with its imposing maritime emblem signifies the old, traditional times of the Greek and international sea transportation, the light of hope at the end of each personal, or not, journey, as well as the essence security and safe guidance through one’s difficulties. Undoubtedly, those who know its long history and its symbolic value spend hours gazing at the unique, rugged landscape of Armenistis from the stone-fenced courtyard of the lighthouse. Amateur photographers try to capture the eerie moment of a dying, but proudly standing symbol when the setting sun rigorously brushes in fire red tones the clear canvas of the sky. Potential couples give their first kiss under the silenced horizon and tourists keep visiting it, trying to absorb the historical aura of the area. 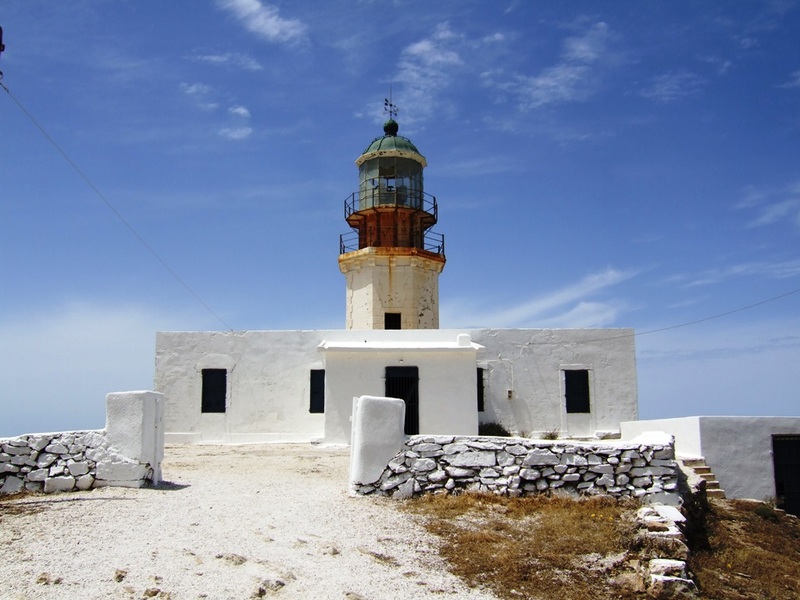 You should definitely include the lighthouse as one of your destinations on an island tour!